Our Deluxe Demi range of DIY Marquees are ideal for customers who want the strongest, most durable and most impressive marquees we can design with the ability to easily stand against buildings or toilets. The following table shows the available sizes in our Commercial Demi range of marquees. 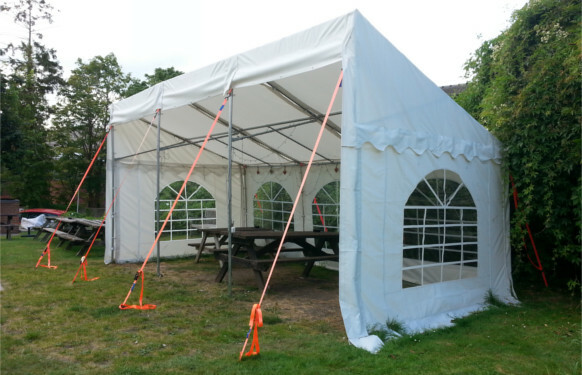 Size guides can vary greatly, this is due to the variety of ways a marquee can be used. For example a 6x12m marquee can seat 70-80 people at round tables but if you allow for buffet tables and/or a dance floor then the capacity is reduced. Use our interactive marquee planner to experiment with different layouts in the marquee or contact us with your requirements and we would be more than happy to put together some sample layouts for you.